The answer to the question is that it doesn’t have to be. However, if you choose the wrong provider, you could end up paying more than you need to. Our research has shown that overall pricing for, as an example, a factoring facility can vary by 165% from the cheapest quote to the most expensive. We also saw an 86% differential between the top and bottom of the confidential invoice discounting pricing range. However, there are many different types of facilities and the fees can be structured in a number of different ways. With a selective invoice finance facility you pick and choose the invoices that you wish to have funded. Normally, there are no minimums requiring them to finance a particular volume of turnover. The fees are often structured such that you are paying approximately 2% of the funds in use, each month. We have examples of live clients that are paying very little for their selective factoring facilities. 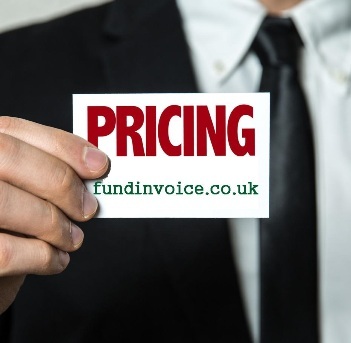 One of our clients paid their funder approximately £1 last month, in fees for the invoices that they chose to discount. This demonstrates how controllable the charges can be and how you do not need to be subject to minimum fees. There are also very cheap, all-inclusive, deals available. For example, small factoring arrangements can be put in place on a whole turnover basis, such that you are receiving funding against all your invoices, for as little as £250 plus VAT, per month - remember that's to fund all your invoices for an entire month. This is a very cheap way of funding your business and it also gives rise to a very predictable fee structure, so you know exactly what you’re going to be paying each month. As with so many services, there are discounts to be had for larger companies that are transacting a larger volume of turnover. Many of the funders are keen to attract this kind of business, and so will offer a discount on the fees in return for larger volume clients. Please call Sean on 03330 113622 to discuss your circumstances, and find out how cheaply we could find a funding facility for your company.